Your car has many parts and systems that work together and alone to perform important driving functions each time you start your engine. Over time, these components and parts are subject to wear and tear or severe driving conditions, creating need for repair or replacement. Performing routine services and scheduled maintenance is crucial to keeping these parts and systems working. At Zhapalang Motorsport in Kepong Metro Prima, Kuala Lumpur, we provide all of the routine fluid and scheduled factory maintenance services to keep your car performing at its best. Regular oil changes are a critical maintenance item in ensuring your car’s engine runs properly and will have a long life. 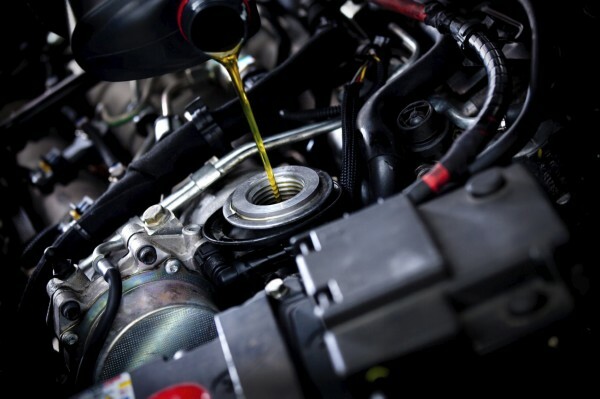 If oil changes aren't done in a timely manner, your car's performance and fuel economy can suffer, and long-term damage can occur. Zhapalang Motorsport(Workshop) carry wide range of high quality branded engine oil, visit us today to refresh your engine. Routinely changing brake fluid based upon your owner's manual helps keep your car's safety system in shape. Contaminated brake fluid may lead to erosion and other problems in the brake hydraulic system, especially for cars with Anti-Lock Brake Systems (ABS). Stop by Zhapalang Motorsport(Workshop) for a brake fluid exchange today. Whether automatic or manual, the tranmission plays a major role in the overall dependability of your car. Over time, your transmission fluid can break down due to driving habits, towing, operating conditions, and frequency of regular maintenace. To keep shifting smoothly, bring your car in to Zhapalang Motorsport(Workshop) for routine tranmission fluid flushes based on factory recommendations for your vehicle. The radiator is a key component to the cooling system in your vehicle. The water pump in your vehicle circulates coolant through the engine. The coolant then absorbs heat and returns it to the radiator, where the heat is then dissipated. If you are experiencing overheating in your vehicle, a sweet smell similar to maple syrup, or any leaks, bring your car in to Zhapalang Motorsport(Workshop) to have your radiator inspected and serviced. The differential is a gear box that is located between the wheels of your vehicle, and allows them to turn at different speeds. Over time, operating your vehicle at high temperatures can cause the differential fluid to break down and not properly lubricate gears. Old, gummy differential fluid is removed and replaced with new, lubricating differential fluid based on your vehicle's specifications. Your car's fuel system works with the rest of the engine to deliver the best performance with the lowest emissions. Intervals for fuel system maintance can often be influenced by the quality of fuel in which you put in your vehicle, the age of your car, mileage, and operating conditions. If you are experiencing poor gas mileage or if your check engine light is illuminated, it may time for a flush to your fuel system. Give us a call at Zhapalang Motorsport(Workshop). Power steering fluid, like differential fluid and brake fluid, can wear and age with time and heat. We will service and fully exchange your power steering fluid based upon the factory recommendations for your vehicle here at Zhapalang Motorsport(Workshop). Power steering fluid often needs exchanged every 00,000 km. Your vehicle's belts and hoses are essential to the cooling, air conditing and charging systems, and the engine. Vehicle age, mileage, belt tentions, corrosion, and oil contamination can all be causes for belt replacement. If you are hearing a squeaking noise under the hood during start-up or operation, experiencing cooling leads or A/C system failures, it may be time for a routine belt replacement. Give us a call at Zhapalang Motorsport(Workshop) today. Chances for accidents increase if you can't see or be seen. The lighting system in your vehicle provides nighttime visbility, singals and alerts other drivers, and supplies light for viewing instruments and the vehicle's interior. If your signals are blinking rapidly or your lights are dimming on the interior or exterior of your car, it may be time for replacement. The cabin air filter keeps dust, exhaust and pollen from getting into the cabin of the car. It keeps the air you breathe clean. Over time, the cabin air filter gets clogged with the dirt it captures. This makes the cooling system work harder, and of course, means you’re breathing more of the bad stuff. Protect you and your passengers by changing your cabin filter as recommended. Over time, wiper blades will age with use and get cracked, requiring periodic replacement. Wiper blades play a major role in safe driving. The wiper system keeps excessive water, snow, or dirt from building up on the windshield. If your wiper blades are chattering or steaking, come see us at Zhapalang Motorsport(Workshop). We will help you select the proper wiper blades for your vehicle and get you safely on your way. A well-maintained suspension system (including shock absorbers or struts, coil springs and linkage) helps support your vehicle’s weight and keeps your tires in contact with the road for better traction. Additionally, a properly functioning steering system keeps you securely in control of the vehicle. If your vehicle appears to be riding rough, or you are due for a suspension and steering service, feel free to stop by the Zhapalang Motorsport(Workshop) at your earliest convenience for a thorough inspection.